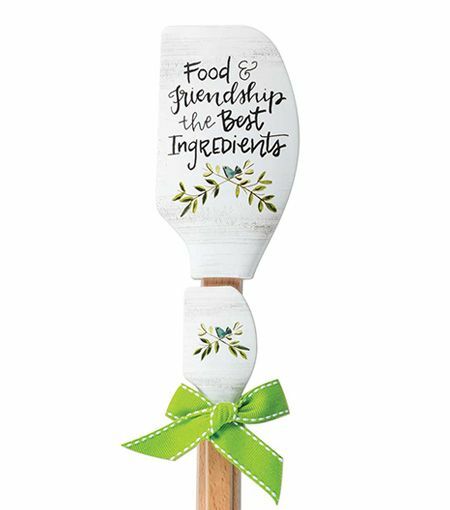 Brownlow Vintage Style Buddies Spatulas are an adorable pair of silicone spatulas - one large one with a handy measuring table printed on the back that is paired with a mini-spatula. 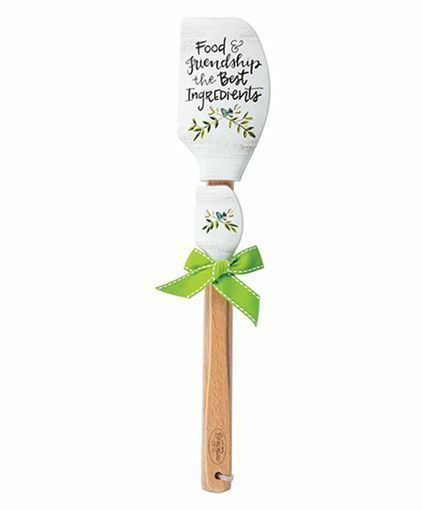 The larger spatula features the words: "Food & Friendship best Ingredients." Kitchen Buddy spatulas are great for friends, mother and child, grandmother and child, baby shower and hostess gifts. The handles are made of wood. The silicone spatulas are heat resistant up to 500 degrees, stain-proof and 100% adorable! These cute spatulas are fun and functiona!